Alex Rosenberg (Ph.D. 1971, Johns Hopkins) joined the Duke faculty in 2000. He is the R. Taylor Cole Professor of Philosophy (with secondary appointments in the biology and political science departments). 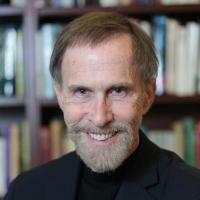 Rosenberg has been a visiting professor and fellow of the at the Center for the Philosophy of Science, University of Minnesota, as well as the University of California, Santa Cruz, and Oxford University and a visiting fellow of the Philosophy Department at the Research School of Social Science, of the Australian National University. In 2016 he was the Benjamin Meaker Visiting Professor at the University of Bristol. Rosenberg has held fellowships from the National Science Foundation, the American Council of Learned Societies, and the John Simon Guggenheim Foundation. In 1993 Rosenberg received the Lakatos Award in the philosophy of science. In 2006-2007 he held a fellowship at the National Humanities Center. He was also the Phi Beta Kappa-Romanell Lecturer for 2006-2007.
and two novels, The Girl from Krakow, and Autumn in Oxford. He has also written approximately 200 papers in the philosophy of biology, the philosophy of cognitive, behavioral and social science (especially economics), and causation. Rosenberg is also co-director of Duke's Center for the Philosophy of Biology . Alex Rosenberg (Ph.D. 1971, Johns Hopkins) joined the Duke faculty in 2000. He is the R. Taylor Cole Professor of Philosophy (with secondary appointments in the biology and political science departments). Rosenberg has been a visiting professor and fellow of the at the Center for the Philosophy of Science, University of Minnesota, as well as the University of California, Santa Cruz, and Oxford University and a visiting fellow of the Philosophy Department at the Research School of Social Science, of the Australian National University. He has held fellowships from the National Science Foundation, the American Council of Learned Societies, and the John Simon Guggenheim Foundation. In 1993 Rosenberg received the Lakatos Award in the philosophy of science. In 2006-2007 he held a fellowship at the National Humanities Center. He was also the Phi Beta Kappa-Romanell Lecturer for 2006-2007. He has also written approximately 180 papers in the philosophy of biology, the philosophy of cognitive, behavioral and social science (especially economics), and causation. Some of his recednt papers are available on his web site.